Christmas has arrived early at Muse Room Kailua! 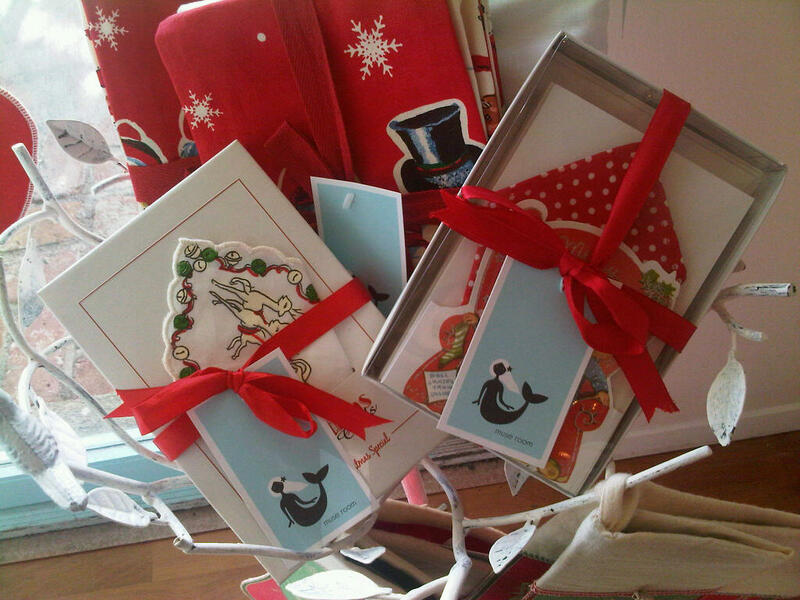 Christmas card sets come with individual hankies tucked inside to make any note extra special. Dish towels adorned with festive prints and a variety of stockings to hang up in your home add the final touch to your holiday season. Also available but not shown are patterned Christmas gift pouches and bags, along with "Merry Christmas" banners in red and green. Have a Merry Muse Christmas!